The Old Testament begins with the stories of the Creation, Adam and Eve, and the Patriarchs. It continues with the law and commandments that Jehovah gave to the Moses and the Children of Israel. The New Testment gives an account of Jesus’ birth, mortal ministry, and his death and resurrection. It also conveys the missionary letters written by Peter, John, and Paul as they preached the gospel to the Gentiles. If you need a Bible but cannot afford one, please go to the following link to make a request. 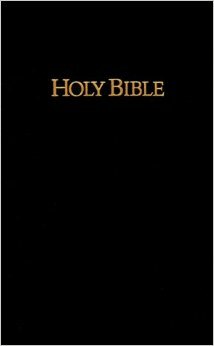 The Bible offer is for both Old and New Testaments.